Lemon water, which is made by squeezing the juice of lemons into a glass of water, is a sour and refreshing drink which comes with a host of benefits. 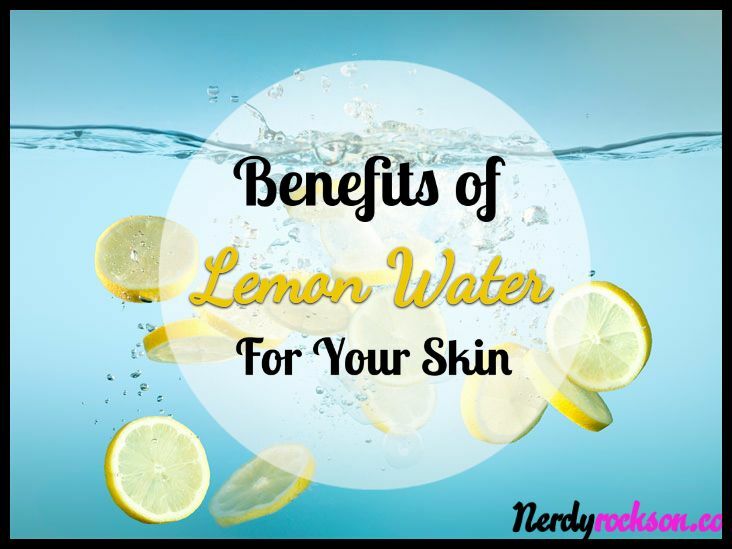 While many cultures claimed that lemon water benefits for skin are huge, modern science has now verified these magical properties. This makes the seemingly innocuous drink a good way to replenish and rejuvenate the skin. No wonder then so many cosmetic products today contain substances derived from lemons as their active ingredients. Here, we list a few of the advantages of the mildly colored drink. Vitamin C is essential for the smooth functioning and strengthening of the immune system. Besides this, it also helps in the building up of collagen, a protein that helps in maintain the structure of all connective tissues, including those on the skin. Thus, consuming lemon juice ensures that the skin remains gaunt and prevents it from loosening. In the long run, drinking the fluid will guarantee that you are insulated from wrinkles, furrows, and blemishes; rendering your skin youthful for a longer duration. Lemons contain a host of detoxifying agents, which aid the body in excreting toxins from the system, instead of letting them build up on the skin. Besides, lemon water benefits also include being a diuretic; that is, it generates urine in the system, which is a primary source for excretion of toxins. Consequently, your skin gets shielded from their many negative effects and maintains its charm. The detoxifying properties can be reaped by rubbing lemon juice on the skin directly as well though this may cause a slight burning sensation due to the citric acid content. Like most vegetables and fruits, lemons too are rich in antioxidants. Antioxidants are essential for the body since they help in eliminating free radicals. Free radicals pose a danger to the body since they bind with living cells and reduce their functionality, thus compromising the working of the entire tissue (sometimes, organ failures too may be caused due to excess free radical build up). On the skin, free radical build up could lead to the acceleration of the ageing process since it causes wrinkles and lines by weakening the connective tissue. Thankfully, antioxidants present in lemon water help kill these free radicals and keep the skin unsullied. Often, doctors and cosmetologists recommend consuming drinks with lemons to combat minor skin defects like blackheads and acne. They usually recommend that it be had in the mornings (right after waking up) since this is the time when the antiseptic properties of lemons work best on the body. They can also prove very effective in fading scars that have been left behind after an accident. Lemon extracts can also be used in a treatment of burns by rubbing them on the skin since the slight acid content in lemons helps in providing a neutralizing reaction and soothing the burnt area. Besides, thanks to the high vitamin C content, drinking lemon water can also help in the prevention of skin infections. However, the above-stated lemon water benefits also make lemons a key ingredient in promoting healthy living and slowing down the ageing process. If you thought that only divas were blessed with everlasting youth, think again. By consuming adequate amounts of lemon water (about 2-3 glasses a day) you could achieve the same. Wow! I never knew lemon water is this good to our bodies. Thanks for sharing!